Meet Ian “Chilly” Chillcott fisherman extraordinaire – Sponsored by Wombat……! At a very early age all Ian ever dreamed of was fishing, the great outdoors and becoming a soldier. So that is exactly what I he did. His fishing took him all around his Bristol home, chasing Pike and Chub on the River Avon, tench on the Kennet and Avon Canal, pinching trout from various rivers and reservoirs to sell too his neighbours!! By the age of seventeen Ian had joined the Army and spent twenty two years in the Parachute Brigade and Special Forces. During that time he soldiered in a whole host of countries on every continent and fished in most of them too. He left the service in 2000 and began to write about his love of carp fishing for various magazines, indeed this had started four years before leaving the Army when he discovered he could write after catching a huge fish in 1996, which was the largest surface caught carp of the 20th century. Carp fishing has dominated his life ever since, and has taken him to many places both here and abroad, culminating with him and his fishing partner, Lee Jackson being crowned World Champions in 2011 on the mighty St Lawrence River in up State New York in the good old US of A. Soon after leaving the Army he was signed up by the two biggest carp fishing companies; Fox International and Mainline Baits. Companies to which he has showed the utmost loyalty, despite massive offers from other companies. The hunt for big carp is never far from his mind, but simply carp fishing is very often enough, whatever the size of the fish. That said, he has landed over 30 carp in excess of 40lb’s with a personal best of 53.12, all from UK waters. Ian has written for all the major carp fishing magazines in this country and at present has a monthly diary piece in Britain’s biggest selling carp fishing magazine, Total Carp, and an extremely popular column in Carpology called, Don’t Get Him Started. In 2008 he was approached by Fishing TV to start some filming for them, and has been doing so ever since. Two six part series called, Chilly on Carp, have been produced along with many other one off programmes, including a four part series on fishing in Spain. 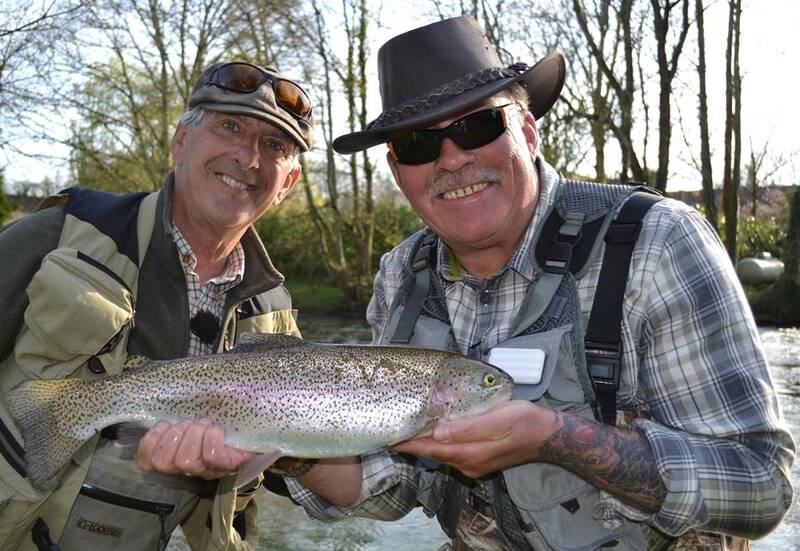 Last year Fishing TV signed up with BT Sports to produce a series called The Fishing TV Show, and so far they have produced three series on various fishing topics that will be re-run in the New Year. Negotiations are underway for a new series, and it is hoped to begin filming in the spring of 2016. Various other TV projects are under discussion at present, but nothing happens quickly in that environment. He appeared numerous times on Sky TV’s Tight Lines as a studio guest, and as a segment provider. He also appeared in a series called Extreme Carp fishing on Sky. There was also an episode filmed around Ian’s fishing on BBC’s Countyfile, four years ago. Ian is the author of two books; one a technical look at carp fishing, Tackling Carp, and the other an angling autobiography called Light my Fire. Both of which have been a huge success. In 2010 Ian was one of the first anglers to be inducted into the Carp Talk Carp Angling Hall of Fame and remains one of his greatest honours in angling. He continues to love his carp fishing and as long as he says “It still Lights all of my Fires he cannot see that ever coming to an end!! !